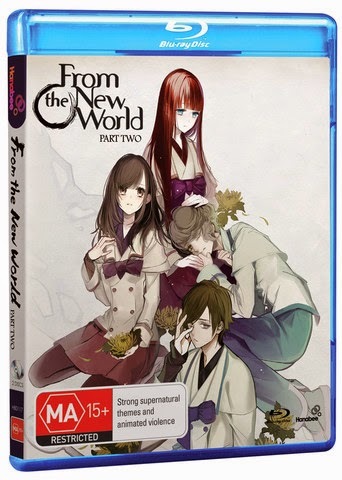 "From the New World, Part Two" is the second (and final) volume of this animated science fiction/science fantasy drama show. One thing I want to say before you continue on reading this review is that if you haven't seen the first volume and intend to, do not read this review as it will contain minor spoilers that are impossible to avoid (end warning). This show is about a group of youths that are very gifted as they have psychic powers but sadly they are all also on the run as they fear that they would be exterminated for knowing too much information about something they shouldn't know of in the first place. The group splits up into two groups as one half decided to risk returning home while the others go on the run. Saki Watanabe (the main character of this series) goes on trial and explains the situation only to find out that there was nothing to fear in the first place. Saki becomes very worried about the other youths that decided to run away and so she and the remanding youths go searching for them. During their search they go visit a Monster Rat (grotesque looking humanoid rats) and meet up with old friends from the great "Monster Rat War" from the first volume. Sadly they notice something sinister going on in the village and start to suspect the Monster Rats are cooking up plans for another great or even greater war. (Click "Read More" to read the full review). The players face Thythok again for one final fight. "POP - Methodology Experiment One" is an experimental game for the PC where you play seven mini-games that are more different than the last. There's no main story to this game but each game tells a unique story of their own. The games range from fairly innocent stuff to some dark stuff that might make you feel uncomfortable but won't turn you off. Well normally this opening paragraph is much longer due to most things I review having a plot I can go on about but this is "experimental" baby, so plots may or may not be a thing... This case it is not a thing when it comes to plot. But does that make this a bad game? Better question: Does the fact that this game is made up of seven mini-games make this a bad game? Find out after the jump. (Click "Read More" to read the full article). The Gaming Beast reviews the awesome PC RPG called "Lionheart - Legacy of the Crusader" from Black Isle studios. Its got a very unique setting, interesting story and a cool character progression system. "FaeVerse Alchemy" is a puzzle game for the PC that uses a hybrid style of a "Match Three" game and a "Tetris" styled game. In this game you have falling blocks that are of different shapes and items and you have to match up three of the following items together (simple as that). This game adds an interesting twist and that is instead of the blocks disappearing they instead merge together to make another single block. Each kind of block works as a certain leveled item, take a leaf for example and think of that as a level one item. When you get three leaves together you will get an item like a sun medallion and the more higher leveled items you put together, more higher level items appear. What makes this tricky is that some of the higher leveled items won't drop as common as other items and you'll only have a limited amount of screen space, so you'll have to plan carefully the deeper you get into the game. 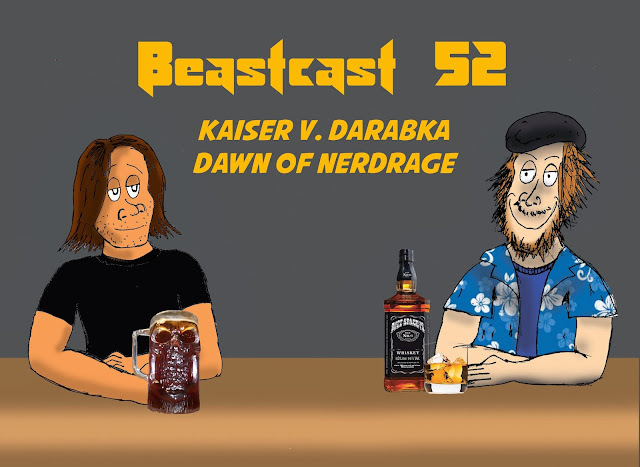 Join me after the jump to read if this has potential to be a great game or a hideous monster like what you'll find in some episodes of "Fullmetal Alchemist (2003 - 2004)". (Click "Read More" to read the full article). 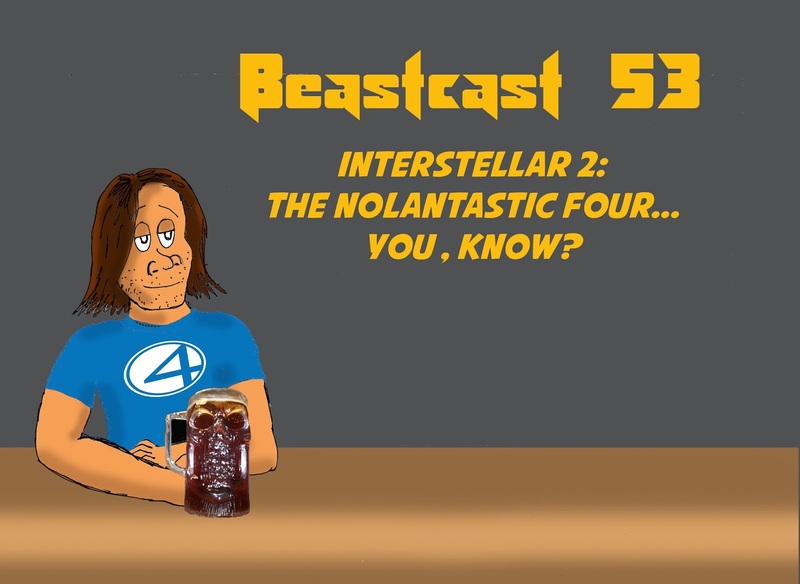 the Devil Burning pilots this episode of the Mondo Cool Cast. Check it out after the jump. The heroes continue to battle the undead miners in the cave, will they survive? 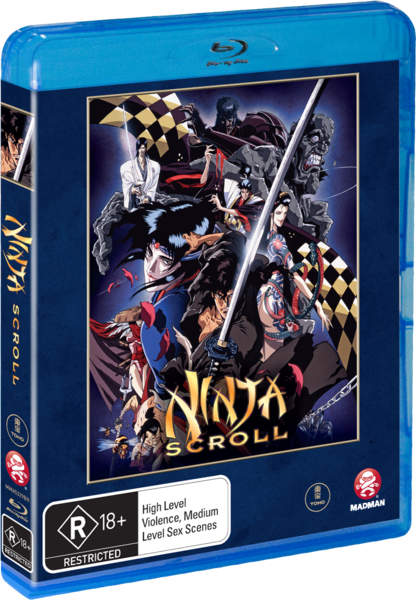 "Ninja Scroll" is an animated action film set in feudal Japan. This film opens up with a swordsman named "Jubei" whom has just retrieved a valuable sword for a small village. Jubei ends up getting attacked by a gang but Jubei puts a stop to them and continues his way. Meanwhile in a small village we see that all of the people have fallen ill to a supposed plague but some people are thinking something bigger is going on. A group of ninja are sent to investigate only for nearly the whole squad to get wiped out with the only surviving member being a female ninja named Kagero. Kagero gets knocked-out by the guy that took out the team and then taken to a small building to where the attacker has his way with her. While Kagero is getting licked and penetrated we see that Jubei has stumbled into the house and is lost and so he asks for directions. Jubei's presence makes the attacker very angry and then they fight only for the attacker to get away. Kagero is very grateful and helps Jubei on his way by giving him directions. Jubei makes it to the place but is then ambushed by the attacker and the attacker isn't any normal man as this guy can make his skin rock hard to where no sword could penetrate or slice his rock hard abs (ba dum tish). Jubei ends up using the sword and finds out that he can hurt him with it and thus defeats him. Sadly this is only the beginning of his journey as there are more warriors like the stone-skin guy that want Jubei's head and these guys are stronger and have even more crazy powers. Jubei also has no choice but to stop them anyway as he was visited by an old ninja named Dakuan. The reason why Jubei has "no choice" is due to Dakuan saying the word "please"... By "please" I mean that Dakuan poisons Jubei so that he'd have no choice but to accept. Will Jubei put a stop to these monsters and gain the antidote so he can live his life normally again? (Click "Read More" to read the full review). "Project Nimbus" is an action packed science fiction game that has you playing as a mecha pilot trying to take out armies that are hell bent on taking over what's left of planet Earth. Your mech is packed to the rims (even though that's cars that have rims) with weaponry such as: Bullets, rockets, more rockets, heavy duty anti-air bullets and rockets, drones, some mighty fine boosters that now only help you go fast but it also helps with your megaton punch. Your enemies aren't as packed with weapons as you are but don't take them too lightly as they can be pretty tough as some of them have tougher armor and laser beams of death. Sit back as this is no normal project bur Project Nimbus. (Click "Read More" to read the full article). 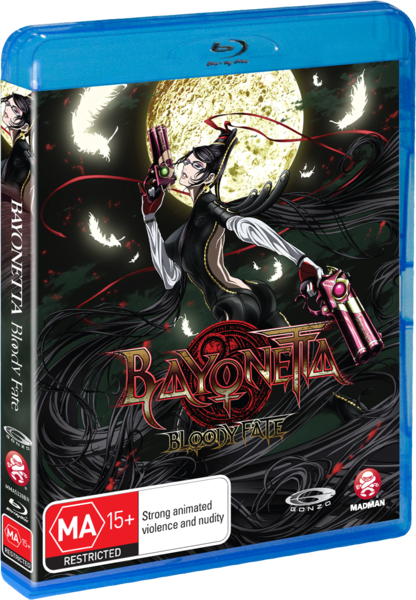 "Bayonetta: Bloody Fate" is an animated action film based on the action packed video game series of the same name. This film opens up with a lecture on the history of the great war between "Witches" and "Angels" that ends telling a story about a child whom his/her (it doesn't say in the story) parents were a Witch and an Angel. We cut to a church where we see a journalist named "Luka" is setting up his camera to capture something huge. In the church we see a nun chanting something to summon Angels but when they show we see that this person isn't a nun at all but rather an Angel hunting Witch named Bayonetta. We then see Bayonetta shooting the Angels to hell (metaphorical hell) all over the church and thus we see that Luka is trying to capture pictures of Bayonetta at work. Once the battle has ended we see Bayonetta meeting up with Luka and smashing his camera. Luka wasn't the only one watching her as just down the road we see a mysterious woman spying on them. Bayonetta relaxes at a bar called "Gates of Hell" (brilliant bar name) and watches the news and hears that a church lead by a guy named Balder is trying to resurrect a dead God. Bayonetta doesn't like that and thus she is on her way to put a stop to him but on her way she gets caught in a portal. In this portal she meets a little girl but soon after they get attacked by Angels. Bayonetta defeats the Angels and takes the little girl with her. Will Bayonetta find out who this mysterious girl is? Will she put a stop to Balder? (Click "Read More" to read the full review).